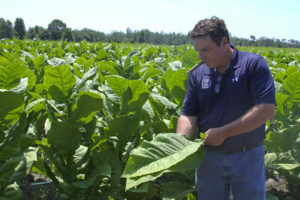 On Half Ashed, we’ve been talking about Jeff Borysiewicz’ efforts at re-vitalizing Florida-grown cigar tobacco ever since the first crop in 2013. Those efforts are finally coming to fruition, in the form of a new line from Drew Estate – the first to utilize the tobacco. The cigar maker is now officially launching the line, dubbed “Florida Sun Grown,” or “FSG.” It features leaf grown near Clermont, FL just outside Orlando. The growing operation is spearheaded by Borysiewicz, owner of Corona Cigar Co. In addition to the regular production items, a special limited edition “Trunk-Pressed” Toro (6 x 54) will be produced. This limited size will contain a different blend, utilizing a Connecticut Broadleaf wrapper over Mexican binder and Florida Sungrown/Nicaraguan/Honduran filler components. The LE will retail for $150 per 10ct. box. 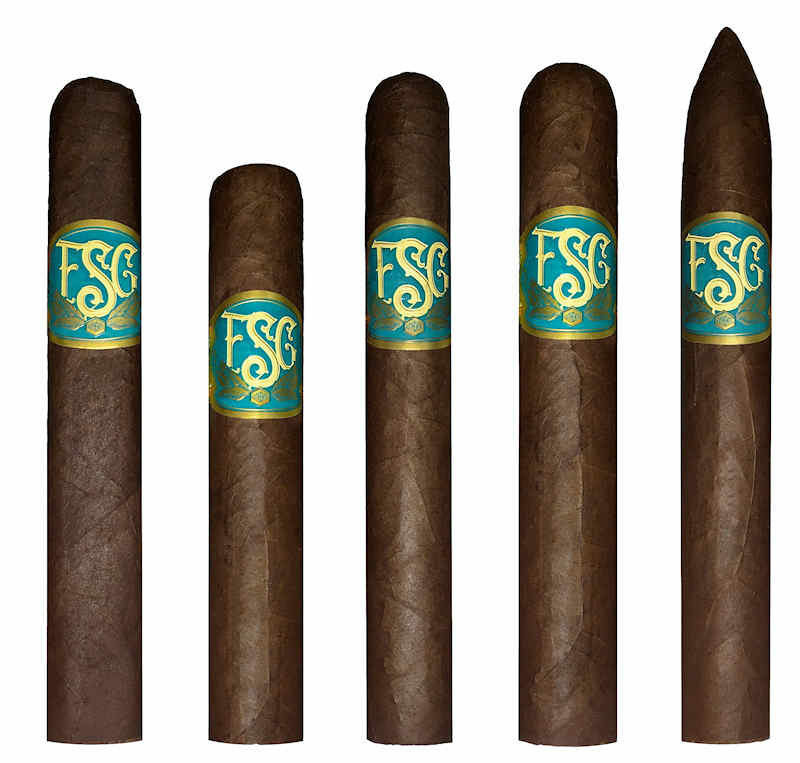 The FSG was blended by Drew Estate Master Blender Willy Herrera over the past two years that the company has been processing the new leaf. The Florida Sun Grown line will land on retailer shelves in June, and will be available exclusively at Corona Cigar Co. To be among the first to try the new Florida Sun Grown blends, attend the Florida Barn Smoker on June 4th, 2016. Earlier today, CLE Cigar Company announced the impending release of the CLE Azabache – this year’s TAA exclusive offering. The line will be launched at the annual TAA convention in Puerto Vallarta, Mexico. Azabache (jet) is a dark glossy type of coal often used in the Cuban culture to produce jewelry. The cigar is presented as a medium to full bodied maduro that is “delightfully creamy,” and will be available only through TAA member retailers. “Last year we released the Asylum Nyctophilia at TAA. This year we decided to showcase a cigar under the C.L.E. portfolio. I can’t wait to get there and show or friends and customers what I have been working on this year. ” says Christian Eiroa, founder of C.L.E. Cigar Company. 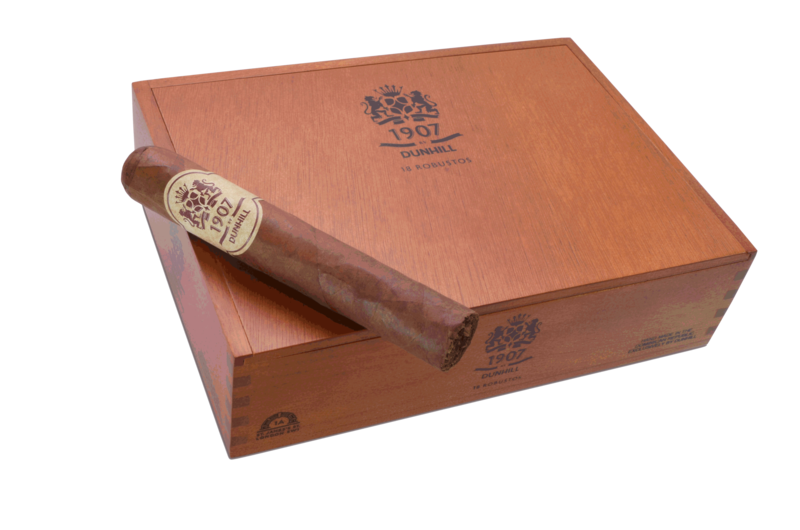 The CLE Azabache will be have a production run limited to 320, 25-count boxes for each vitola. The sizes will included 5″ x 50, 6″ x 54, and 6″ x 60. The line will come with a Mexican maduro wrapper, Honduran binder and a filler blend comprised of Honduran, Nicaraguan, and Peruvian tobaccos. The cigars will be box pressed and rolled at the CLE Aladino factory in Danli, Honduras. Each will be wrapped in tissue adorned with both the CLE and TAA logos to showcase their TAA-exclusive availability. Suggested retail pricing has been set, and ranges from $7.00 – $9.00 per cigar. The CLE Azabache is the latest of this year’s offerings from CLE and its client companies. Other announced products for 2016 include the Asylum 13 Connecticut, as well as the new Asylum 13 toro. Additionally, CLE is being rebranded and will debut the CLE Prieto and CLE Chele. CLE Cigar Company and Asylum Cigars have announced the upcoming release of a new line – the Asylum 13 Connecticut. The line will come wrapped in an Ecuadoran Connecticut wrapper, and contain Honduran binder and filler blend. The Asylum 13 Connecticut was blended by Christian Eiroa (CLE) and Tom Lazuka (Asylum), and is being rolled at the CLE “El Aladino” factory in Danli, Honduras. “Asylum cigars are known for being more full bodied and Nicaraguan. We wanted to blend something different and lighter into the portfolio” says Lazuka. The initial offering will include three different sizes: 5” x 50, 6” x 60, and 7” x 70. The two smaller vitolas will come in 50 count boxes, while the 7” x 70 will be available in 30 count boxes. Suggested retail pricing will range from $5.80 to $7.80, depending on size. Orders are currently being accepted, and the cigars should ship at the end of February. This full bodied, Maduro expression is the first blend released from the Drew Estate factory since Herrera was named Master Blender in June, 2014. The “Norteño” showcases extensively aged tobaccos from the Estelí and Jalapa growing regions of Nicaragua, coupled with a spicy Honduran binder and a rich, bold Mexican San Andrés maduro wrapper. The “Norteño by Willy Herrera” will be available in the following six vitolas at select Herrera Estelí retailers nationwide. 4×46 Coronita, 4.75×48 Corona Extra, 5×50 Belicoso Fino, 5.5×54 Robusto Grande, 6×50 Toro, and 6.5×44 Lonsdale Deluxe. Drew Estate has announced some changes to the existing Papas Fritas packaging. The cigar remains the same, but instead of the familiar metal tins you’ll start seeing them in 50-ct boxes. This will reduce the single stick price from $6.40 to $5.25. The blend (CT broadleaf over Brazilian Mata Fina binder over cut Nicaraguan fillers) will remain the same. The new packaging will begin to arrive on retailers’ shelves in the next few weeks. The price increases are rolling in now, with Oliva this week and Padron next week. Oliva is going up by about 2.5-5% on average; Padron goes into effect April 1st, with about a $.20/cigar increase. Rocky Patel is also raising some prices April 1st – but not an across-the-board increase. Some lines; up to 5%. Last week we talked a bit about Crowned Heads’ “Single Action”; this week, we have a bit more news about this year’s Angel’s Anvil. It will be coming down the pike in June. The 2015 edition will be a 6×52 toro, running about $10.50 at retail. Total production will be about 20,000 cigars – which will only be available at TAA member retailers. 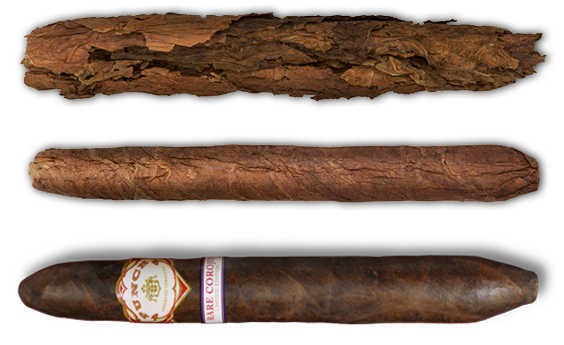 The line is made by EPC, and carries an EC Habano wrapper over Nicaraguan binder & fillers. One other TAA exclusive is being produced with a twist this year. LFD will be presenting 3 different blends to the TAA membership at their 47th annual meeting this year. Retailers can place orders for their favorite of the three….and only the most-ordered blend will be produced/shipped! Other orders will be canceled. I like it. It’s a fun twist, although I’m interested to see if the retailers who want a nixed blend get a bit upset. Espinosa/La Zona fans have something new to look forward to: the Espinosa Especial. This new line from Erik is due out in April, and brings 3 vitolas – the 6.5×48 “No. 1,” 5×52 “No. 4,” and 6×54 “No. 5.” (What happened to numbers 2 & 3?). It will feature a Mexican Capa Negra wrapper and Nicaraguan binder/filler. In addition to the already unique focus on small batch production, Viaje is mixing it up again. They are partnering with (yet) another cigar factory for some of their lines. Pinar del Rio in the DR will be producing some of their lines. One new introduction, the Viaje Collaboration 2015, will be the first major batch created in the partnership, but PDR will assume production for some existing marques as well. In a story that reached local to me, the Florida ABT has seized upwards of $100k in counterfeit cigars and tens of thousands of counterfeit boxes & bands – mostly Cohiba. One of the main culprits in the operation was Island Cigars, based out of Oldsmar, FL and Weekiwachee, FL (just a few miles from my house). 2010 Montecristo #2 – I’m never sure what to expect with Mc#2s. This was a stronger cigar with less tang than the 2000 vintage sticks we smoked last year on the show. I got only moderate cocoa & sweet coffee flavors that are the hallmark of this classic cigar. Marred with the highest expectations, this cigar often seems to fall short. This was an enjoyable experience but inconsistency of expected blend integrity took away from the singularity of its tasty experience. 7-20-4 Londres (5×42): Nicaraguan, Honduran, Mexican and Colombian, long-fillers, Costa Rican binder, and Brazilian Mata Fina wrappers (!) I’ve enjoyed these for a couple years on occasion. They’re a “workhorse” smoke for me – they don’t really ever stand my world on its head, but they never fail to provide an enjoyable experience. Solid woodsy core with some modest spice, decorated with an intermittent sweetness. Next episode (109) we will be featuring EP Carrillo Dark Rituals. So come by Half Ashed Friday night at 9:30pm EST and hang out with us in the chatroom during the show. If you would like to contact us in the meantime, you can reach us via the Contact Page or the following emails:[email protected] or [email protected] Please feel free to drop us a line if you have any questions you’d like answered, comments to make…or even compliments and complaints. We love to get your emails! Also, remember you can always go back and listen to previous episodes, which can be found in the Half Ashed Archive. You can download this week’s audio directly below (right-click “Download” and save), find us on iTunes, or subscribe with any podcast app at our RSS Feed. Video, as always, will be available at the Half Ashed YouTube Channel. P.S. – If you have unbanded suggestions or contributions, you can get those [email protected] This email address goes directly to my wife, so you can simply suggest an unbanded cigar for her to source, or send me an email [email protected] if you have something you’d like to send in. I will provide an address to send them. Thanks! West Palm Beach, Florida – In a continuing effort to create limited runs of premium cigars blended by the industry’s top manufacturers, Smoke Inn Cigars of South Florida proudly presents its sixth installment of their MicroBlend Series ,Room101 Big Delicious . The Room101 Big Delicious cigar will be a 6.25” x 42-54 Torpedo with a shaggy foot. The cigar will come in 15-count boxes with a retail of $8.95 per stick & $134.25 a box. The cigar will be produced at the Tabacos Rancho Jamastran in Danli, Honduras. The Room101 Big Delicious cigar will be comprised of a special recipe of tobaccos based off of Room101’s last successful Limited Release. The binder/filler tobaccos from Brazil, Honduras, Nicaragua, & the Dominican Republic will be adorned with a very special and limited high grade Habano 2000 wrapper. In Smoke Inn fashion, a Room101 Big Delicious website has been created, www.room101bigdelicious.com. 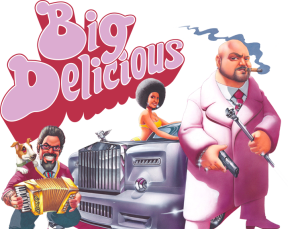 The site will feature a comic called “The Adventures of Swanky White & Big Delicious” chronicling Matt Booth’s and Smoke Inn Owner Abe “Big Delicious” Dababneh’s comical, and mostly fictional, journey in making the cigar. The comic will be updated regularly with new episodes. The site will be interactive and have many cool features such as entering yourself to appear in the actual comic, and winning a custom made Room101 Big Delicious chain and pendant as worn by Big Delicious in the comic. Previous releases in Smoke Inn’s MicroblendSeries –the Tatuaje Anarchy , Padrón SI-15 , My Father El Hijo , Arturo Fuente Solaris , and the Tatuaje Apocalypse — have received great accolades from cigar smokers all over the world. Smoke Inn proudly continues its quest to work with the world’s leading manufacturers to create limited release boutique cigars that are produced with only the highest quality premium tobaccos under the strictest supervision to guarantee the consumer a unique and exquisite experience. For more information on Smoke Inn or their MicroBlend Series , please visit www.smokeinn.com or call toll-free 1-888-SMOKES-1.